We were inspired to build this in order to provide immediate as well as long term feedback to students and allow easier and partially automated classroom performance tracking to teachers. It organizes student "impressions" of topics (assigments, lectures) in order to track their current understanding of topics as part of a long term dependecy based knowledge graph. 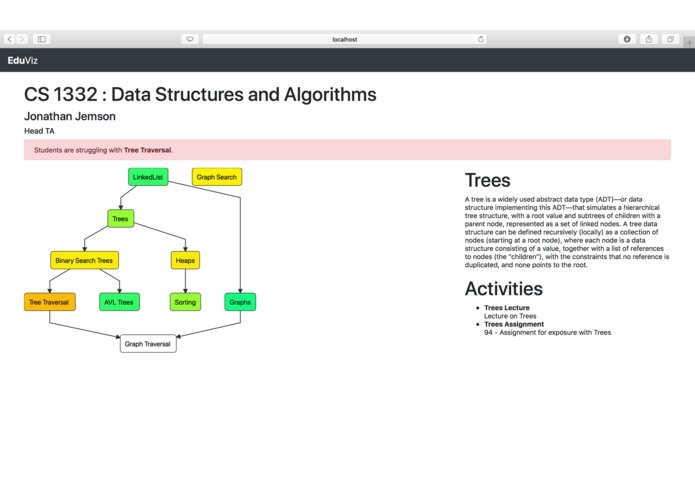 We build it it using a Node backend with a Postgres Database and d3 visualization tools.